Orthodontics – Dental Clinic "FREEDENTS"
Orthodontics. The alignment of the teeth and correct bite. 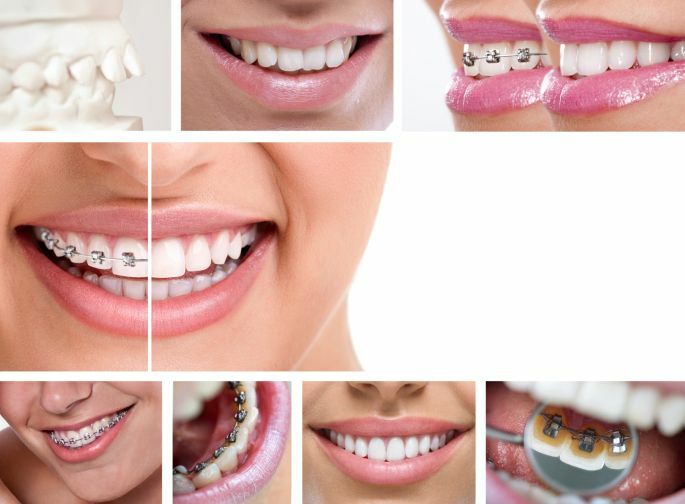 Orthodontics is the correct bite and straight teeth of the patient, saying scientific language, this branch of Dentistry which is aimed at correcting malocclusions. Previously it was thought that such correction shall be teeth only children and teenagers, but with the advancement of technology made possible the achievement of high results of treatment of adults. The importance of proper occlusion cannot be overestimated, and it's not so much the aesthetic side of the issue, although a beautiful smile is one of the main factors of sexual attractiveness and external charisma. Also we are talking about the health and safety of teeth, because incorrect contact the maxillary and mandibular teeth leads to premature abrasion of dental tissues. From caries appears more likely and can also develop periodontitis. Breath, migraines, some digestive system diseases directly relate to the problem of malocclusion and one of the conditions for their elimination is orthodontic treatment. Today there are many techniques of bite, but each of them has its pros and cons. Which method is right for you will be able to determine the only doctor orthodontist. The Invisalign system (Invisalign) is a "transparent" an alternative to braces. Innovative technique for bite correction and alignment of the dentition transparent individual Kappa (jelajnerami), which are manufactured individually for each patient in the United States using 3D technologies. -large gaps between teeth, crowded teeth. After conducting the diagnostic procedures and removal of casts with your teeth they are sent to a specialized laboratory in the United States, where according to ZD technologies will produce for you a set of transparent individual aligners (CVR), specifically for the treatment of the pathology. Wear them will not less than 20 hours a day, and changed every 2-4 week, but it's worth it, because they practically are not visible, they are comfortable to wear and are safe. And duration of treatment also impressive-from 4 months, but it depends of course on the source State, but the result is very fast. (lingual braces, ceramic, metal, solo Insignia) as progressive components methods of solving the problem of uneven teeth and malocclusion. Individual braces Insignia-are made on individual slepkam teeth using ZD technologies in the United States, while strictly takes into account all individual parameters of the patient and committed they are individually manufactured positioning solutions. Unlike conventional braces the e and that takes into account the average fixation is performed by standarntnym. 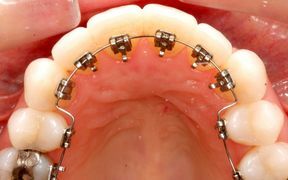 Invisible (lingual) braces: is a system that "steeping" which are mounted on the inner side of the denture, leaving the exterior untouched surrounding never guessed that you are correct. That's just you have to master some skills for the care of the design, that too is not a particular problem. Treatment terms range from 6 months and up to two years on average. Metal braces: is a solid reliable system with fastening on the outer part of the dental arch, the lack of which is aesthetic, though some very even goes, especially children and adolescents, so that they can decorate various rezinochkami and stones. There are also ceramic and Sapphire braces: from metal, Sapphire different material manufacture nazubnyh "locks", are less visible, and virtually no color stand out against the enamel, but for the price they are a bit more expensive.